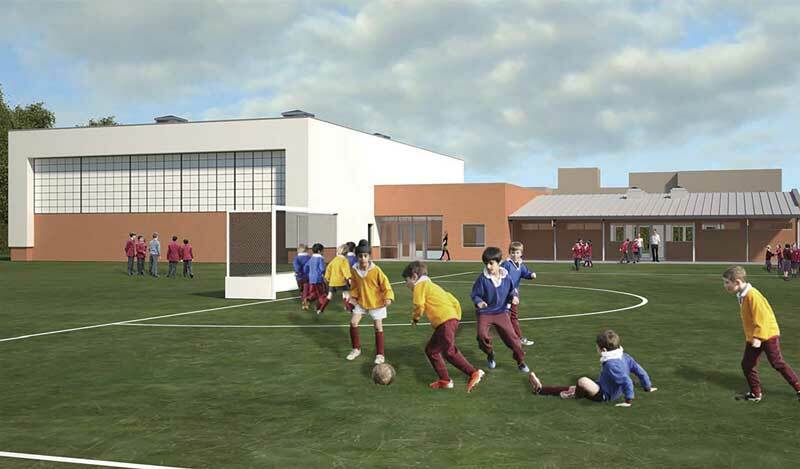 The new multi-purpose hall will triple the Prep School’s indoor sports space, providing facilities for badminton, mini tennis, mini basketball, indoor hockey and cricket. The hall will also be used for large assemblies, drama performances and other major school events and will include extensive performance and rehearsal space. The project will also involve the relocation of the School’s existing outdoor swimming pool which will be brought under cover. A new foyer, office and reception area will be built linking the hall and indoor pool to the existing sports changing rooms. Clarkson Controls were employed by D & I to design, supply and commission of the BMS for the project. D & I and Clarkson’s have a long fruitful trading relationship together and this combined with Clarkson’s Natural Ventilation experience made us the ideal choice. Our first challenge was to decide the controls platform for the project as we needed an open source communications protocol for Natural Ventilation control and also interfaces to the Dantherm AHU package. After consideration and as the Elesta RCO 900 controllers have OSP readily available a decision was made to use the Elesta Controls platform. Panel Mounted BMS Graphic User Interface mimicking the Front End Pages as standard.